Big news!!! Wonderland Bridal is having the biggest sale of the year! We are selling some of our best loved designer wedding dress samples as low as $399! How does a sample sale work? Here are the answers to the most frequently asked questions! Our shop is preparing for the new Fall 2018 collection of wedding dresses by making room on our racks. This is great news for any bride-to-be looking for a deal on a designer wedding dress. Sample wedding gowns are specific sizes and colors. Sometimes these wedding dresses are discontinued by the designer, but not always. 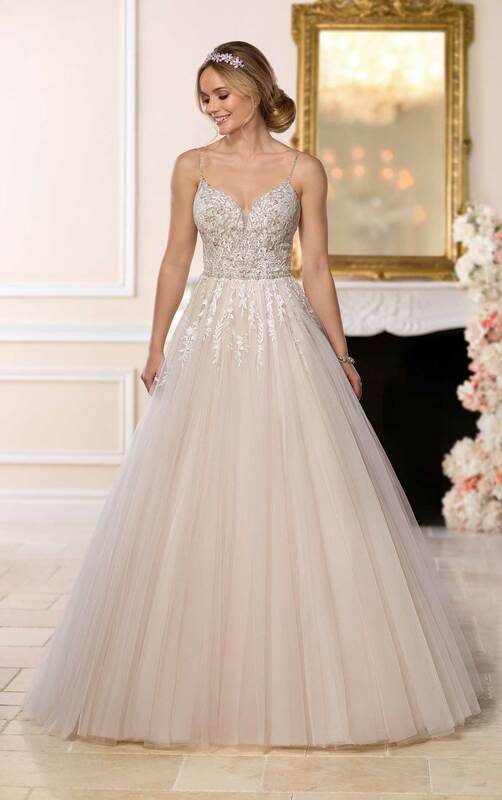 In some cases if a bride falls in love with a sample during the sample sale it is possible to reorder this wedding gown in another size or color. The only difference is if the wedding dress is being special ordered, then you will not be able to take advantage of the sale price. What should I do if I love a dress but it doesn’t fit? During a sample sale you might find a wedding dress you love but it is either a little big or too small. Sometimes you get lucky and find something that is a perfect fit but what do you in the case that it isn’t? Most wedding dresses have a seam allowance of up to 3″. This means that if the wedding dress sample doesn’t quite zip because it is too tight, a seamstress can let it out up to 3″ to make your dream wedding gown fit like a glove. If the wedding dress is too big, the first thing you want to do is look at yourself all clipped up in the dress. Do you like the proportion of the bra cups to your actual bust? Do you love the way the dress looks on your body? If the answer to any of these questions is yes, then this is a good indication that you will like the dress once it is altered. If you are unsure about your decision, let your bridal stylist know your concerns and ask her to make a recommendation. I love a dress but I’m not ready to buy. What do I do? If there was ever a time you went wedding dress shopping with an intent to purchase this would be it. Since wedding dress samples are not reordered by the bridal shop, the wedding dresses are up for sale to anyone ready to purchase the dress at that moment. This means that if you love a dress but didn’t come prepared to buy it you could potentially lose out on it to another bride who did. 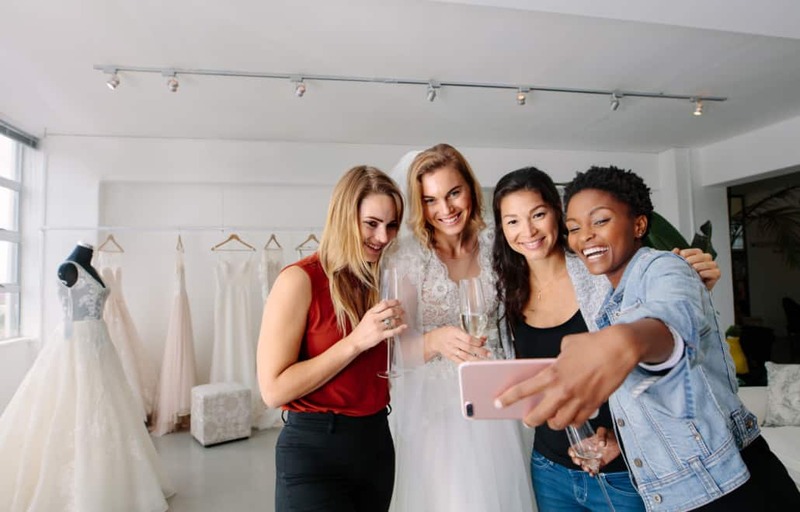 Make sure that everyone you want to bring shopping with you is at your appointment to help you make the decision or accessible by FaceTime including anyone who is paying for your wedding dress.